I don’t get the criticism. This is what ballplayers do. Sure, they’re not often caught en flagrante to the degree that Jeter was, but at heart, they’re all the same in this regard. You’d be hard-pressed to find a single example in the history of the game in which a player willfully informed an umpire that a call had been incorrect in favor of the opposition. It doesn’t happen on balls or strikes or plays at the bases. It doesn’t happen on difficult fair-foul calls. And it certainly doesn’t happen on hit-by-pitches. Sure, Jeter went overboard with his Shakespearian dramatics. If you want to make a distinction between benefitting from an umpire’s bad call and influencing an umpire into making a bad call, that’s fair. But the underlying tenets are the same: in baseball, every advantage counts; you get ’em where you can. Nobody ever called out an outfielder for acting as if he caught a ball he actually trapped. 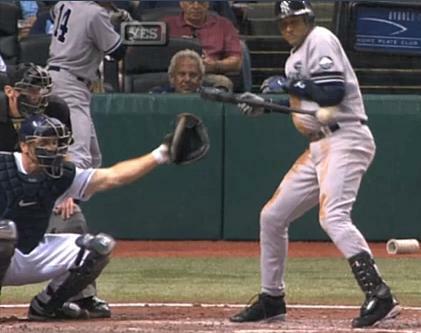 HardballTalk points out similar displays from Yunel Escobar and Pierzynski, again. It’s pure gamesmanship. Jeter even has precedent on his own team. In a 1928 game between the Yankees and Browns, with two outs and Lou Gehrig the baserunner at first, second-base umpire George Hildenbrand turned to watch the play on the lead runner when Bob Meusel hit a ground ball to shortstop Red Kress. Except that Kress threw to first, and Hildenbrand was caught with his back to the play. Meusel had been thrown out cleanly, but Hildenbrand hadn’t seen it. Instead, he appealed to Meusel’s honesty. Hildenbrand had no choice. The runner was safe, and Browns pitcher Al Crowder had to seek his fourth out of the inning. So wnough with the calls of “Derek Cheater.” The guy was just doing what big leaguers do. Update (9-22-10): Jorge Posada did kinda sorta the same thing. I wonder how much of the buzz/criticism is due to anti-Yankee sentiments. What if this had been Evan Longoria instead? Joe Mauer? Seems like Jeter is getting somewhat of a bad rap here. Maybe. The fact that he’s Derek Jeter, symbol of all that is right in sports, certainly has something to do with it, as well. One refrain I’ve seen repeated through much of today’s coverage asks what kind of response A-Rod would have received had he done the same thing. It’s difficult to answer. Because people expect that sort of thing, I think it would actually receive less play than Jeter’s version. I guess there could be anti-Yankee sentiment in either instance, but Jeter also has his supporters; I’m not certain that Rodriguez would (at least in the same numbers). My point all along has been that what Jeter did crossed the line when he bragged about it after the game. Is that okay that he did that? I know it’s stupid, as the umps will be looking for payback if they can get it cleanly. I would if I was an ump. What’s the code for showing up the ump by a future HOF? That said, you make a decent point about not showing up the umpire. In Jeter’s defense, outside of the sound of ball hitting bat (which might have happened even had it glanced off a finger), this was a tough play to call. Had Jason Donald bragged about how Jim Joyce blew the call in Armando Gallarraga’s would-be perfect game, he would have been way out of line; the call was inexcusable, and Donald doesn’t have one-tenth Jeter’s credibility. For Jeter to admit that he got away with one in this instance, however, is hardly calling the umpire out for looking foolish. It’s part of a ballplayer’s job description. That’s pretty much all he was trying to say. Obviously I’m invested in this. You say a lot of times that not showing up the competition is what drives a lot of the “unwritten rules”. So I wonder how when a guy strikes out and the ball is whipped around the horn that that’s not showing up somebody. I guess I have to keep studying. It seems like this subject is a lot like learning the english langue. Obviously I’m invested in this. You say a lot of times that not showing up the competition is what drives a lot of the “unwritten rules”. So I wonder how when a guy strikes out and the ball is whipped around the horn that that’s not showing up somebody. I guess I have to keep studying. It seems like this subject is a lot like learning the English language. Holy cow, are there nuances to it. I’ve never before considered that throwing the ball around the horn might be considered offensive. By this point, it’s such an ingrained part of the game that it can hardly be taken that way; whether that was true when it was first done is a good question. My comprehensive research (consisting of five minutes searching Google) turned up nothing. If you have anything to add, please do tell. The purposes of throwing the ball around the infield are to keep infielders’ arms warm, seeing as they may not theoretically get to make a play until the last out. That seems like the obvious reason. What’s still unknown is when the practice started, who started it, and — unlike today — the opposition ever considered it to be showing them up. Wiki answers does describe it as “sort of a very mild celebration for a strikeout”. No word on when it started. “You’re right in what it means. It keeps the infielders’ throwing arms warmed up. 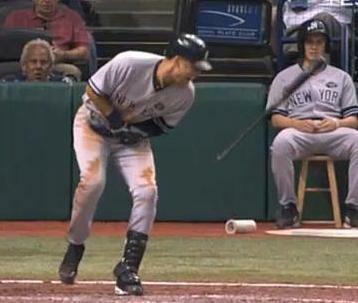 So, does Jeter get drilled in the next series? I’d be shocked. This is the way big-league baseball is played — which is why, in my opinion, those calling for Jeter to be accountable, and those saying that he only did it because his skills are fading, are off base. If it’s an accepted part of the game, nobody within the game should be upset by it. Joe Maddon’s already come out in support of Jeter, and I expect that the rest of his troops will fall solidly (if quietly) into line. Ya know, I’ve noticed-for quite some time now-especially having listened to folks talk about this on talk shows that it seems that more and more of the leisuerly (sp? )”fans” just don’t get it about many,many of the nuances (those’re what makes it the Greatest in the 1st place) of the game. but it’s kinda neat to hear what thoughts are in other fans heads. Sure,there are a LOT of folks that Love baseball,just starting to wonder exactly how much of it is TRULY understood now-a-days…. I think even most knowledgeable fans would be shocked by how little they know. Hell, I was a professional sportswriter when I started researching the book, and only four years later could I see how relatively little information I started out with. Once one really gets inside the game, it can be a complex and wonderful place. Don’t get me wrong ,though…it was good stuff,even if from the Yanks (not really an NYY fan). 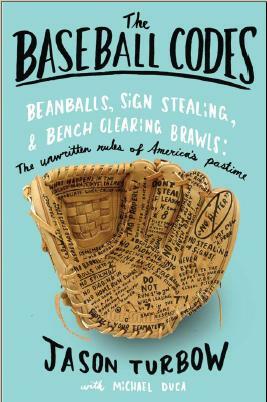 I’m learning to look at the bigger picture of baseball,though & THIS was Outstanding ! “In other words, the call stands.